FSA K-Force Flat 760mm Kit (Bar+Stem+Spost) +299 Fr. SRAM Ultimate Carbon Gold Hydraulic Disc +379 Fr. Shimano XTR M9100 Hydraulic Disc +449 Fr. 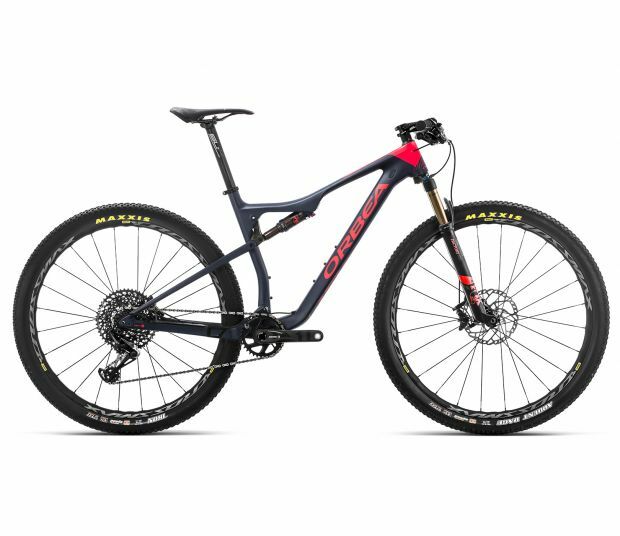 Mavic Crossmax Pro Carbon TL 6-Bolt +1.499 Fr. Maxxis Forekaster 2.35" TLR (F) / Ardent Race 2.2" TLR (R) +0 Fr. Race Face Aeffect Dropper 31.6x385/125mm +149 Fr. Selle Italia X-LR Kit Carbonio S +119 Fr.